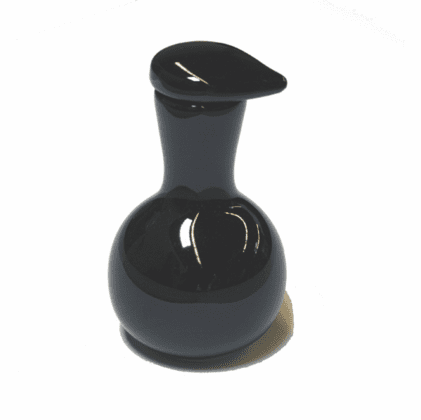 Black with brown accent ceramic sauce dispenser is perfect for soy sauce or any liquid you choose. The top is easily removed for ease of filling. Body is black and top is black too but has a bit of brown along the top edge of the lid. Dimensions: 2-1/2 inches in diameter, 4-3/4 inches tall, holds 4 ounces.